Few items in your home endure as much of a daily beating as your hardwood floors. Shifting furniture, high heels, breaking dishes, and pet nails are only a few of the things the floor’s tough finish can endure. To rejuvenate the finish and prevent your home’s hardwood flooring from becoming scratched, dingy, and worn looking, try polishing the floors every couple of years. 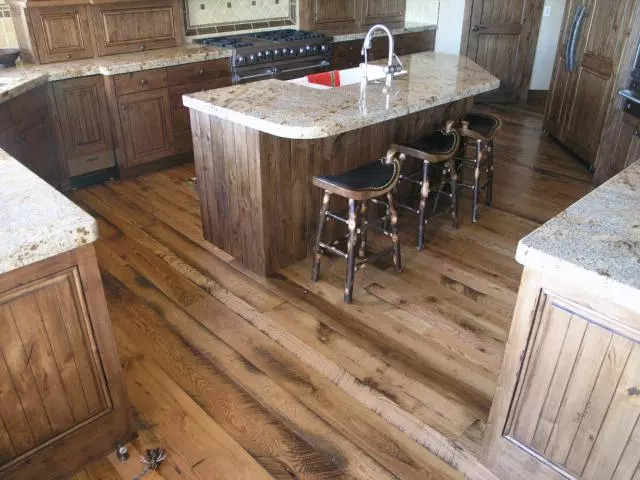 Whether you can polish the floors yourself or need to call in a professional depends on the existing finish of the flooring and the type of wood product from which the floor is created. Also, some floors require wax instead of polish, so test the finish of your floor before beginning the polish. Clear the room of all furniture, carpets, and electrical lines. Next clean the floors with warm water and a small amount of dish soap to remove dust, dirt, and grime. If the floor has a polyurethane finish, don’t use soap to clean the surface, simply use water. After the floor dries, use a damp mop to remove any lingering soap residue. Then wait for the floor to dry completely. Different types of polishing products can have very different application processes, so it is often recommended that you read and follow the instructions. As a rule, the polish can be thinly and evenly spread over the floor using an applicator tool. Starting in one corner of the room and working in long swathes of at least three feet, draw the applicator in the direct of the wood grain. Smooth bubbles out as soon as you see them to prevent damage to the hardwood flooring surface. Leave the room empty for at least 24 hours to allow the polish to cure. Additionally, to prevent permanent scuffing or damage to the newly polished floors, check the manufacturer’s recommendation before allowing foot traffic to resume. In high traffic areas, consider using an area rug to absorb some of the damage.